Cook's Illustrated is an absolutely NO ads format magazine dedicated solely to cooking and the products that make it all possible. 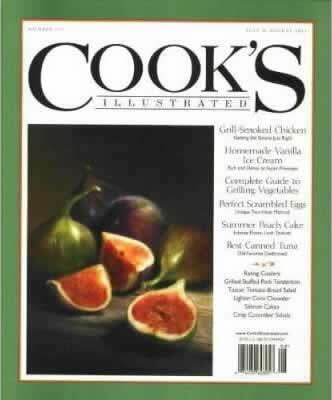 In publication since 1993 Cook's Illustrated is backed up with a full test kitchen which happens to be the same kitchen that is featured on public televisions show "America's Test Kitchen". The products and ingredients are thoroughly tested and critiqued in an objective and unbiased manner attributable to the NO ads format. Many have called Cook's Illustrated a sort of consumers report for cooking. They also test store brand ingredients and let you know which are best and which ones should be avoided. 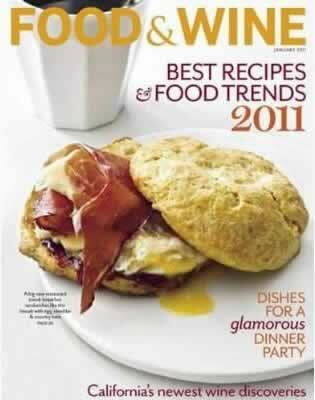 Christopher Kimball is the Founder and editor of Cook's Illustrated and also the host of "America's test Kitchen" .